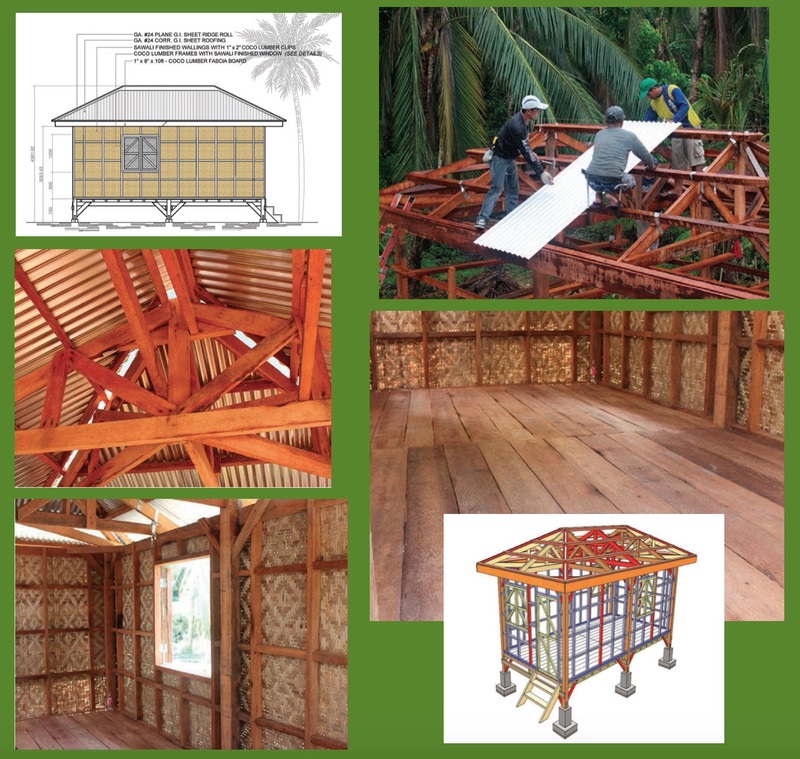 A Red Cross report entitled: “Shelter Report 2015: Philippine Typhoon Haiyan Response” provides detailed instructions including cost for making a reinforced coco lumber and sawali native style dwelling for about P30,000 in materials. What makes it “reinforced” is that in includes a foundation and better, stronger joints, making it better capable of withstanding winds, plus a physical design that minimizes vulnerability to wind. The graph shows how and when the ICRC shelter program kicked in. Although it’s frustrating to see how long it took — it does help to see it in context and realize how the “triage” worked. The report makes clear what they mean by “reinforced” and it makes sense. Our municipality of Lawaan suffered 2,044 partially damaged and 901 destroyed homes. The real shocker is Guiuan — 1,601 partially damaged and 10,008 destroyed. Against this need, ICRC and other NGOs provided a bit more than 21,000 new shelters in the province. THANK YOU for that. What Makes the Structures “Reinforced”? The beauty of the shelters is that the are clearly native construction– in the traditional style with coco lumber and sawali as the main components. But the design makes them stronger and more typhoon-resistant. Why? FOUNDATION that holds the structure up, down, and from toppling over, and resists rot and vermin. Materials cost — about P20,000. Other than that, it’s labor and whether or not you put a bathroom in it, in which case, with a bathroom, add another P15,000. Here is the link to ICRC Press Release and Complete Shelter Report 2015.